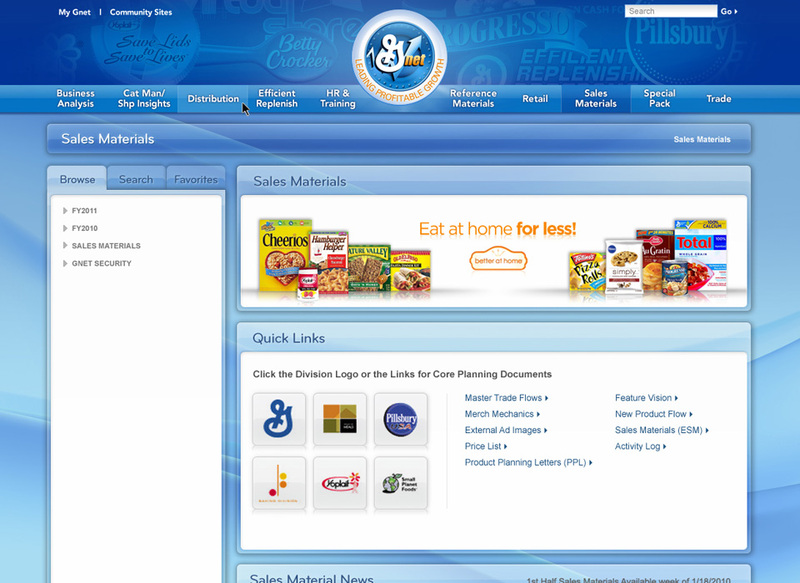 General Mills is a Fortune 500 company whose brand portfolio consists of roughly 100 leading U.S. brands including Betty Crocker, Yoplait, Pillsbury, Green Giant, Häagen-Dazs and Cheerios. 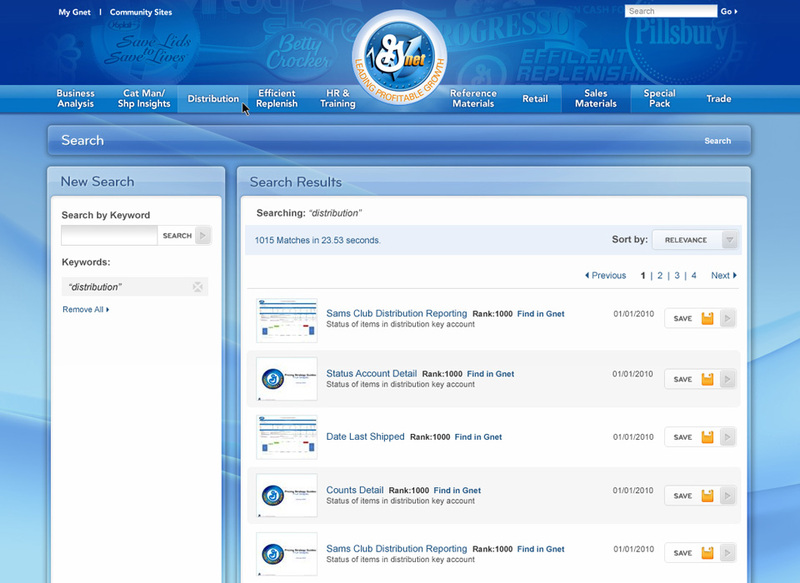 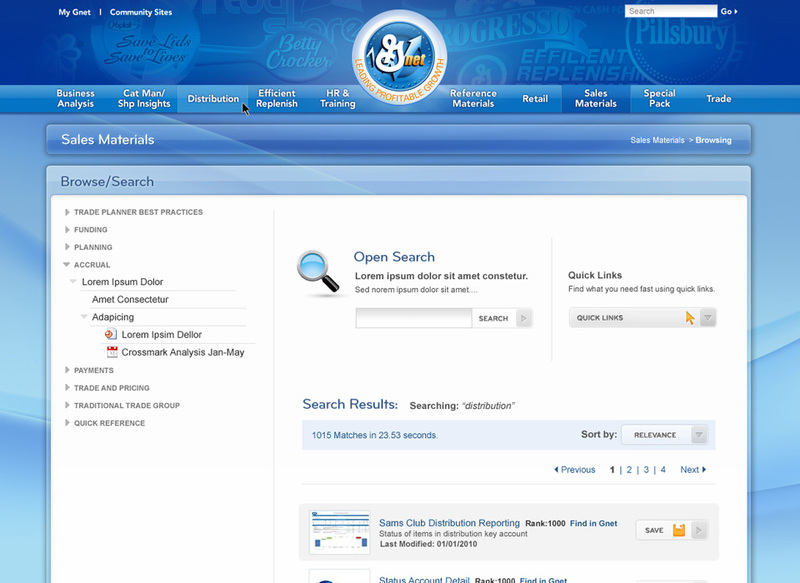 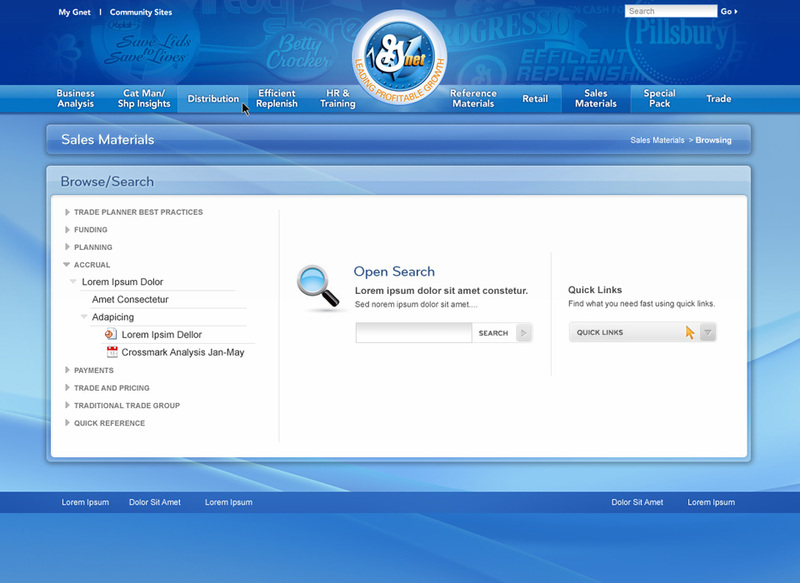 General Mills engaged us to produce the Gnet Portal. 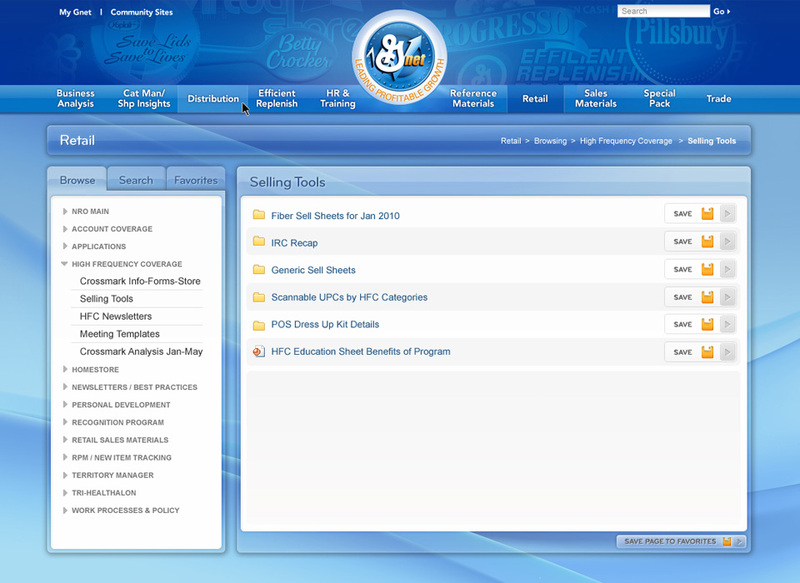 The portal is the central hub for employees to access a variety of types of information related to HR & training, retail performance, distribution, trade activities and sales materials. 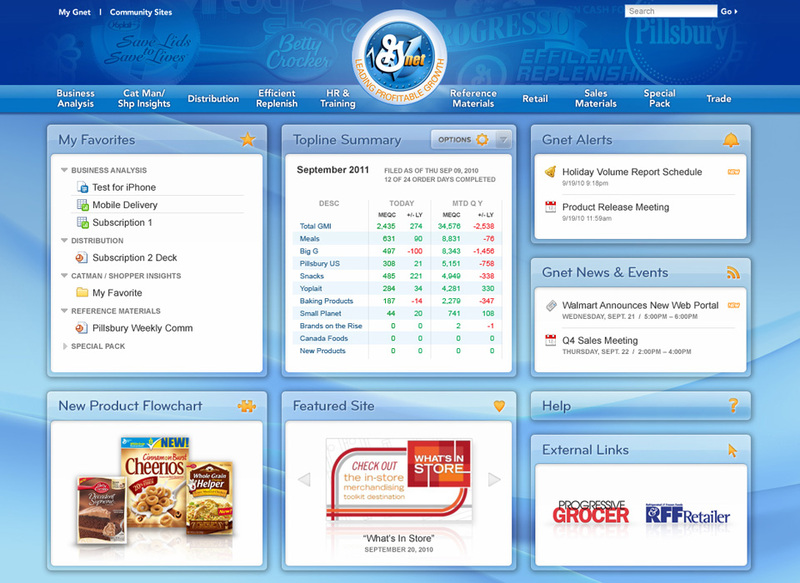 We designed the architecture and look and feel for the portal and provided HTML templates to General Mills for implementation.